Use our free MLS Search Page to Search Homes For Sale in Spring Hill FL, and all of the surrounding Tampa Bay areas including Hernando, Pasco, Pinellas and Hillsborough Counties. Start here for information about selling a home in Spring Hill Florida and the surrounding Hernando County and Tampay Bay Areas. We will be happy to provide you with a free Market Analysis and Valuation. 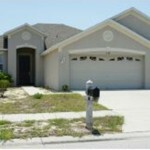 Want to know the ins and outs about Short Sales in Spring Hill FL? Is a Short Sale the right option for you? How do they work? Find important information about the Short Sale process here. Looking for information about different Mortgage Programs in Florida? Thinking about starting the Pre-Approval process for purchasing a home in Spring Hill Florida? E Loans Mortgage Can Help!